Download and fill out the Form 1 to apply for a HK / Overseas company and then send it back to us via info@kinsoncpa.com by email or at (852) 2725 0009 by fax. For a Hong Kong limited company, in case of hung loss incurred, the owner is not required personally to bear the huge loss even go to bankruptcy only if he paid up the issued share capital allotted to him. This is the most advantage of forming a Hong Kong limited company. A Hong Kong limited company may have only one shareholder and one director. In general, you may issue at least 1 share with nominal value of HK$1. It must be a natural person as director in a Limited company. If a company has sole director, the director is not allowed to act as company secretary of the company. Company secretary is a chief officer of the company required by Hong Kong Companies Ordinance. It is required to be acted by a Hong Kong person or a company incorporated in Hong Kong. In case that you have no such person or company to be appointed as company secretary, we may act as company secretary for you. 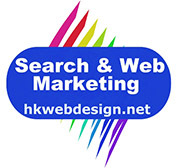 Hong Kong limited company requires a Hong Kong registered office. We may provide such office for receiving government letters and bank letters on your behalf. If necessary, we may also provide exclusive telephone line, exclusive fax line and exclusive receptionist to receive your company’s call with company name answering. In the past, the quickest way to have a Hong Kong limited company is purchasing a shelf company i.e. a company already formed and has certificate of incorporation but the name is not the one you want. Following E-incorporation launched into in Hong Kong, we may complete whole incorporation procedure within one day only if you authorise us to incorporate a company on your behalf through E-incorporation. For tailor-made company, you are just required to complete our form 1 and then email / fax it to us together with director and shareholders’ ID card / passport copy, we would prepare all forms and documents for you. Certificate of incorporation and business registration certificate will be issued within one day after submitting application to Hong Kong Company Registry through E-incorporation. We can directly certify the director and shareholders’ ID card / passport as true and submit it to Hong Kong Companies Registry for obtaining PIN. Obtaining Certificate of incorporation and Business registration online. Finally, we may help you to open bank accounts with the bank you requested. Such services include searching the bank which matches with your requirements, understanding the bank’s requirements in advance for you, making appointment with bank, preparing required documents, following up the banking matters in respect of bank accounts opening in Hong Kong and so on. If your company does not perform business in Hong Kong i.e. your income is arising from or derived from outside Hong Kong, you are not subject to Hong Kong Profits tax. For details, you may visit our website www.kinsoncpa.com and then left click “Taxation”.